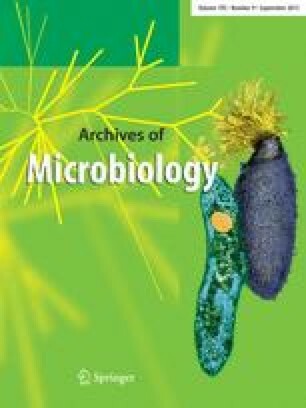 The capacity for chemoautotrophic, mixotrophic and organotrophic growth in the dark was tested with 45 strains of 17 species (11 genera) of the Chromatiaceae. The auxanographic deep agar shake culture method was used; the gas phase contained 5% O2 and 1% CO2 in N2. All strains tested of Chromatium vinosum, C. minus, C. violascens, C. gracile, Thiocystis violacea, Amoebobacter roseus, Thiocapsa roseopersicina gave positive growth responses under chemoautotrophic and mixotrophic conditions (extra carbon source acetate); one strain of Thiocapsa roseopersicina grew also organotrophically on acetate alone. No growth was obtained with the remaining 17 strains of ten species. None of the five type species (three genera) of the Chlorobiaceae grew under chemotrophic conditions. With Thiocystis violacea 2311 a growth yield of 11.3g dry weight per mol thiosulfate consumed was obtained under chemoautotrophic conditions; under mixotrophic conditions with acetate the yield increased to 69g dry weight per mol thiosulfate consumed. With Thiocystis violacea 2311 maximal specific respiration rates were obtained with thiosulfate as electron donor irrespective of the presence or absence of sulfur globules in the cells; organic substrates served as carbon sources only and did not support respiration. With Chromatium vinosum D utilization of thiosulfate was not constitutive; maximal respiration rates on thiosulfate were obtained only with thiosulfate grown cells containing sulfur globules. Respiration rates were further increased by malate, fumarate or propionate; these substrates also served as sole electron donors for respiration. Acetate and pyruvate were used as carbon sources only. The ecological significance of the chemotrophic metabolism is discussed.